There are so many ways to leave a legacy. By all accounts, over her many years at UMBC, Dr. Alice Robinson, a founding professor in theatre, left legacies in the broadened hearts and minds of countless students here. After her passing, her legacy lives on through a scholarship fund aimed at the very students she taught. 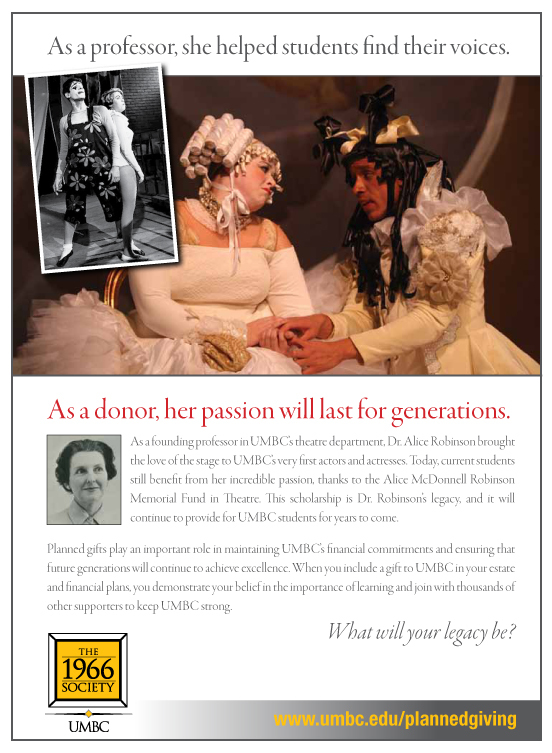 We are inspired by the gifts Dr. Robinson gave to UMBC.